Arsenal Football Club of England has sent a congratulatory message to Chelsea's Olivier Giroud. Giroud spent five-and-a-half years at Arsenal, making 253 appearances and scoring 105 goals. Alexandre Lacazette and with fearsover making France’s World Cup squad, Giroud left the Emirates in January. He then scored five goals and won the FA Cup to seal a place as France’s first choice striker. 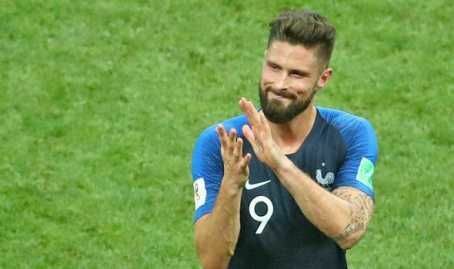 And after France won the final by beating Croatia 4-2, Arsenal took to Twitter to hail Giroud’s achievement. “From Arsenal to a regular for #FRA. “And now… a #WorldCup winner! 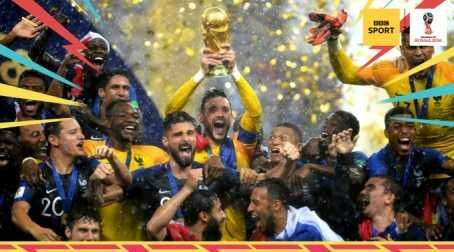 In 546 minutes at this World Cup for France, Giroud failed to hit the target.